maybe like a follow up with someone you already did, whose had a successful transition. or maybe even someone new whose been doing well. Drew is one of the best coaches in the country...great interview! How about Sarah "Stump" Sumpter? Her story is amazing! She is a great athlete and has fought back from cancer to be one of the top ditance performers in the Big West. She's also been honored as a top scholar athlete. 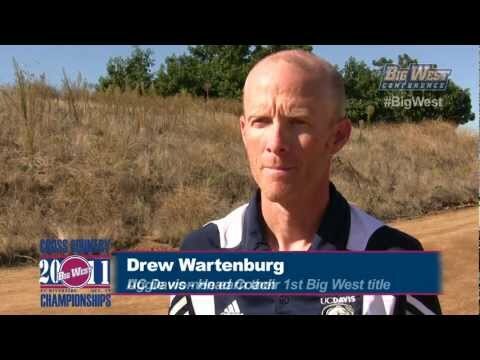 Coach Wartenburg has quite a few Norcal athletes. Jacque Taylor? Went to NC and had health problems returned home and is now on the Sac St. Roster. She was a great high school runner and it seems may be fighting to resume her running career. Another great story I think. Another North Bay athlete which you have interviewed in the past is Isabel Andrade who is now the #1runner for Nebraska. It might be nice to hear from her. Would love to hear from Carrie Verdon after a year at Colorado or Parker Deuel at Alabama. Luis Luna at American River; Nick Ratto at UC Davis... the possibilites are great and their stories are probably very entertaining stuff. I hear they have to eat a lot of salad! You Should do a Interview of University of San Fransisco Coach! She Has turned that Program around and Now looks like Program where a Good Runner would like to go and compete at a High Level and also get a Great education!